One of the biggest trends in higher education is that millions of students are now choosing to start their college careers at a community college. It can be a great way to save money and boost academic readiness before transferring to a four-year institution. But which four-year colleges are best for transfer students? Money magazine took a look and placed five University of California campuses on its list of the top 10 best colleges for transfer students. UCLA and Berkeley were named No. 1 and 2 respectively, with UC San Diego, UC Santa Barbara and UC Irvine coming in at sixth, seventh and eighth. The magazine’s editors came up with their rankings by evaluating educational quality, affordability and graduation rates. 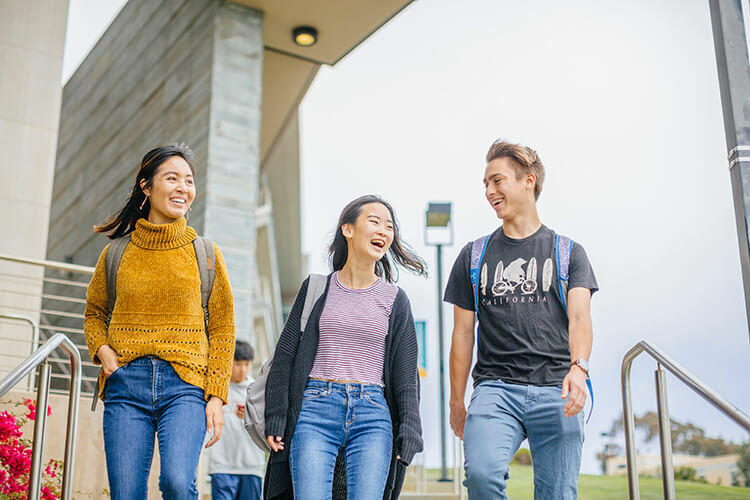 They also cited the fact that UC offers distinct pathways that students at California’s community colleges can follow to be eligible for admission in 21 of UC’s most popular majors. These roadmaps to entry are just one of the ways that UC is working to simplify the admissions process and encourage more California community college students to apply. Already, more than a quarter of UC undergraduates are transfer students – and the percentage has been rising steadily since the mid-90s. In 2017, UC enrolled more than 20,000 transfer students, including 16,300 who were from California Community Colleges. UC has set a target of boosting that even further, with the goal of enrolling one transfer student for every two freshman students that are admitted.